Accepted wherever debit MasterCard and VISA is accepted, prepaid cards provide a more convenient way to pay than cash. Getting a prepaid card is easy. There’s no credit check and no bank account required. You can make purchases or get cash wherever MasterCard and VISA Debit are accepted. Simply go here to link your NetSpend Prepaid debit card to your Speedy Rewards number. Don't wait! Take control of your wallet and start earning points today! Other costs, terms and conditions are associated with the use of this card. For a list of all fees, see Cardholder Agreement. Some bill payment services are subject to fees. See the Online Account Center for details about the methods of payment available. The Visa Zero Liability policy covers U.S.-issued cards only and does not apply to certain commercial card transactions, or any transactions not processed by Visa. Cardholder must notify issuer immediately of any unauthorized use. For specific restrictions, limitations and other details, please consult your issuer. 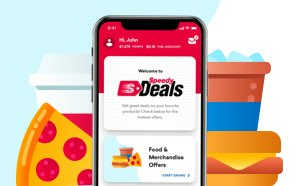 To redeem, perform six (6) cash reloads at participating Speedway locations with your Netspend Visa Prepaid Card and present your Speedy Rewards card at the time of reload. After your sixth (6) reload, a coupon will be printed at the store register and be visible in the Speedway Mobile App. Present this printed coupon or the coupon in the Speedway Mobile App when performing your next reload and the reload fee will be waived at the register. Reloads must be performed at participating Speedway locations to qualify. Reload fee may be assessed for other reloads and may vary based on location. Offer may not be transferred to others, exchanged for other offers, or redeemed for cash. Void where prohibited. MetaBank® is not affiliated in any way with this optional offer and does not endorse or sponsor this offer. Earning additional Speedy Rewards Points with your Netspend Prepaid Card Account requires entering your Speedy Rewards card number in your Online Account Center. 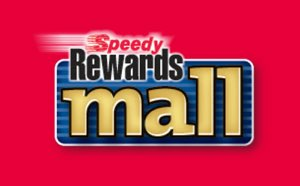 If you do not have a Speedy Rewards card number, you may visit www.speedway.com/SpeedyRewards to sign up. Purchase and use of a Netspend Card is not required to earn Speedy Rewards Points. Terms and restrictions apply; Speedy Rewards Points offers subject to change without notice. Speedway is responsible for the quality and performance of the Speedy Rewards Program. 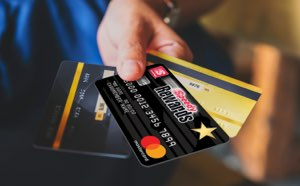 Neither MetaBank nor Netspend are responsible for the optional Speedy Rewards Program or use of Speedy Rewards Points. 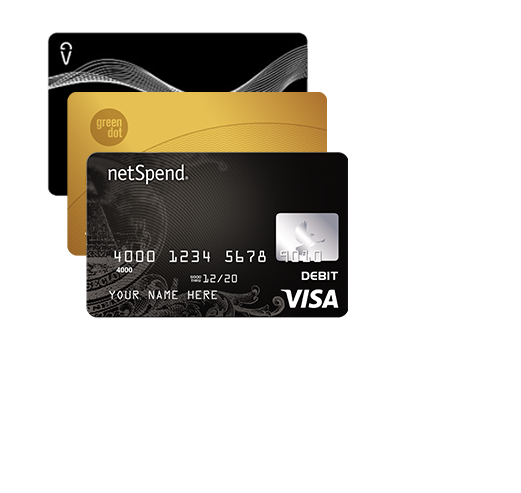 The NetSpend Visa Prepaid Card is issued by MetaBank®, Member FDIC, pursuant to a license from Visa U.S.A. Inc. The NetSpend Prepaid MasterCard is issued by MetaBank, Member FDIC, pursuant to license by MasterCard International Incorporated. NetSpend, a TSYS® Company, is an authorized Independent Sales Organization of MetaBank. Certain products and services may be licensed under U.S. Patent Nos. 6,000,608 and 6,189,787. Use of the Card Account is subject to activation, ID verification, and funds availability. Transaction fees, terms, and conditions apply to the use and reloading of the Card Account. See the Cardholder Agreement for details. MyVanilla gives you spending flexibility all over the world while keeping your account safely and conveniently at your fingertips. Use MyVanilla to make money management simple by helping you track spending, monitor expenses, and more! Add funds easily with Direct Deposit and Vanilla Reload. Set text alerts to stay updated on account balances and transactions. Transfer funds securely between MyVanilla Card accounts. With MyVanilla, you have a money management tool in your pocket, spending power in your hand, and a connection to your account at your fingertips. Use at millions of locations worldwide, online and in-store. Free mobile app for money management on the go. Check Card balance, view transactions, find Vanilla Reload locations. Quick and convenient account access in the palm of your hand. †MyVanilla is safer and more secure than carrying cash. The Visa Zero Liability policy covers U.S.-issued cards only and does not apply to ATM transactions, PIN transactions not processed by Visa, or certain commercial card transactions. Cardholder must notify issuer promptly of any unauthorized use. Consult issuer for additional details or visit www.visa.com/security. *Standard text and data rates from your wireless service provider may apply. ** This is not a credit card. MyVanilla Prepaid Visa Card is issued by The Bancorp Bank pursuant to a license from Visa U.S.A. Inc. and may be used everywhere Visa debit cards are accepted. The Bancorp Bank; Member FDIC. Card is distributed and serviced by InComm Financial Services, Inc., which which is licensed as a Money Transmitter by the New York State Department of Financial Services. Terms and conditions apply — see Cardholder Agreement. in-store everywhere Visa debit is accepted in the U.S.
Green Dot will even waive your Monthly Charge in any monthly period where you load at least $1,000! 1Monthly and other fees apply. See card package for details. Instantly send money to friends and family anywhere in the U.S.
Head straight to any Speedway register or shop around and reload as you checkout! Just ask the cashier to reload your card and they'll take care of the rest. A reload fee of up to $4.95 applies. Reload and card balance limits apply. Keep your receipt. Get paid up to 2 days earlier with direct deposit (subject to your payment provider's process and timing). Set up direct deposit today so you can start kicking your weekends off early or pay some bills sooner than you thought! All trademarks are property of their respective owners and used with permission. ©2016 Green Dot Corporation. Card provided by Green Dot Corporation.  The Visa card is issued by Green Dot Bank pursuant to a license from Visa U.S.A. Inc. Green Dot Corporation is a member service provider for Green Dot Bank, Member FDIC. Green Dot is a registered trademark of Green Dot Corporation. Green Dot Bank operates under the following registered trade names: GoBank, Green Dot Bank and Bonneville Bank. All of these registered trade names are used by, and refer to, a single FDIC-Insured bank, Green Dot Bank. Deposits under any of these trade names are deposits with Green Dot Bank and are aggregated for deposit insurance coverage.